Alison Burrows is from New York City and has been in the field of education since 2004. She has taught in both public and private schools in New York City, Scarsdale NY, Abu Dhabi and Dubai United Arab Emirates. Besides being a full time teacher, Alison works as education consultant across the UAE. Her favorite roll in consulting is to train teachers in all aspects of literacy. Alison is also the co-founder of Edcamp Dubai and Edcamp Abu Dhabi. Edcamps are self-organized "un-conferences" where forward-thinking educators network, share ideas, and teach one another. Alison is looking forward to working with Litworld.org and celebrating World Read Aloud Day 2013. We asked Alison why she celebrates World Read Aloud Day, and why the right to literacy is such an urgent issue for our generation. "I celebrate World Read Aloud Day because the ability to read is a right, not an entitlement. Reading takes us places and provides us with opportunities to travel the world, meet new people, have diverse experiences, and know what it is like to be in another person's shoes. World Read Aloud is important because it is a call to action to mobilize people to help end the inordinately high illiteracy rate around the world. When children or illiterate adults learn how to read, their life changes drastically, their ability to communicate is enhanced, and opportunities to become successful in this international world become abundant. If you are fortunate enough to know how to read, read it forward, share your skills, and promote literacy!" 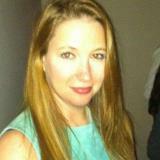 Newer PostMeet Social Media WRADvocate Jennifer Vincent!